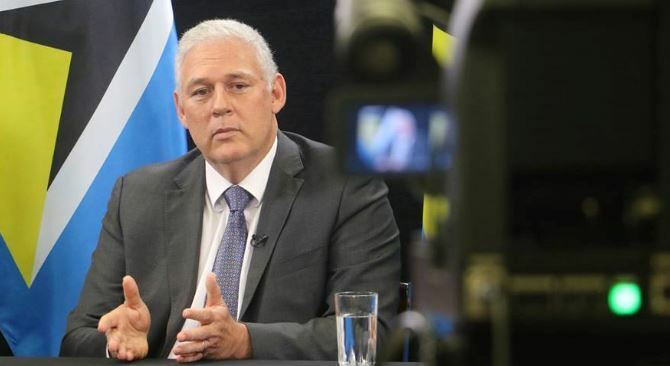 Prime Minister Allen Chastanet has said that the Government of Saint Lucia is more than concerned about unemployment in the country. According to the Government Information Service (GIS), Chastanet has declared that there is urgency in further reducing the unemployment rate, although the number of people who are jobless has declined to 21.8 percent. “Two sectors, namely, information technology and tourism/hospitality, continue to provide the avenue to achieve this. To date, 2000 new jobs have been created in the IT sector,” the GIS reported. It said Chastanet disclosed that KM2 has hired an additional 400 people; a company located in the Johnson’s Building has hired 400; while a local entrepreneur in the Alfiona Building has a staffing of between 300 – 400 people. “Ojo Labs is up to 230 workers with that number to climb to seven hundred by the end of next year. Four major international companies are currently in dialogue with Government on opening here. If successful, up to two thousand jobs will be available,” the PM observed. The GIS report said the positive direction in the local economy is expected to continue as the US economy recovers and maintains growth. “The impact will be felt most in the tourism and hospitality sector. Consequently, government has moved to position Saint Lucians, particularly the youth, to take advantage of the opportunities. With youth unemployment at 38.8 percent, decreasing from 45.01 percent in 2017, the National Apprenticeship Program has partnered with Monroe College in a new hospitality training program,” the government agency noted. One hundred and fifty young persons from the south of the island are attending the recently opened Centre receiving a monthly allowance of $500 dollars from government for the duration of study. In January 2019, another 150 candidates will be enrolled. The program prepares participants for employment at hotels and the cruise sector, it was observed. Prime Minister Chastanet said that Carnival Cruise Lines and MSC have committed to sending teams to work alongside Monroe College to train the candidates. He said the Cruise Lines are welcoming 22 new ships and are scouting for talent. Thats the only jobs governments can come up with. Call centers and hospitality jobs. How about you make it easier for young entrepreneurs to get access to all those concessions and perks you give to the many so called foreign investors. I’d love to be given a tax break for 10 years on VAT, Duties and Corporate Tax. And still he lying about the numbers. The call center at Johnson center does not have 400 employees muchless hire 400. KM2 has never hired 400 people. Ojo labs moved to VF and so did some KM2 workers. It is also funded by the government. Which means its not a stable job. Who knows how the next election will be and if the company will be kept. The Government needs to stop fantasizing about the numbers. The hardest thing in St. Lucia today is finding a job. It’s like looking for a needle in a dense forest. This government has invested most of its resources in tourism. There is too much leakage in this industry. Most of the hotel owners are foreign investors and repatriate most of their profits to their countries of origin. What the government needs to do is to incentivize local entrepreneurs. Small business is the engine of economic growth. Instead of giving these foreign billionaire investors so many tax breaks and duty free concessions (one foreign entity got $25 000 000 in taxes belonging to the State) invest this in local business enterprises and allow these huge sums of money to circulate within the country. This administration never fails to disappoint. One bad turn with the hospitality industry and all these promises are for zilch. What are they regarding as IT jobs? Call it what it is “call center”. Putting perfume on a pig doesn’t change what it is. Stop with all these promises and just make thinks happen. Everyday is a different promise with this group. The chicken is coming home to roost soon. We will need to pay down on all the borrowing that has been happening. Our kids will be held holding the bills. These guys seems to be throwing everything at the wall hoping against hope that something sticks. I pray that something sticks but not these call center jobs that basically pays meager salaries. Not too smart PM. U full of **it. Another round of horse s***. Is that all St. Lucians are fit for or deserve? Servants to tourists in plantations by the sea? So now we really know what you think of us. Disrespectful, arrogant, insultive, intellectually barren, bereft of ANY CLUE as to how to take St. Lucia out of the mud pit he himself has placed us in. We wanted and voted for change, but that ain’t the change the people wanted. You promised better, and that was what was voted for, and you HAVE NOT DELIVERED. Those who put him there, now sing the song of, “all politicians are the same.” No, they are NOT. We were not in this mess BEFORE, WERE WE? There were different people in place and they cared about St. Lucians. Now, ALL social programs have been cut – no distress fund, nothing for the blind, nothing for the disabled, nothing for schools, nothing for health care, nothing for education, rising crime and inept leadership. THANKS A LOT ALLEN CHASTANET, GUY JOESPH, LENARD MONTOUTE, STEPHENSON KING, HEROD STANISLAUS, DOMINIC FEDEE, GALE RIGOBERT, BELROSE, BRADLEY FELIX – THE MOST USELESS GOVERNMENT IN THE HISTORY OF ST. LUCIA. PERIOD. I wonder when we’ll be free. I feel like we’re still in chains, speak to the young people who work on these cruise ships and let them relate their horror stories of slavery to the media and the world. Agriculture is our way out, yet still we hear nothing. I feel like I’m walking in one spot when I read local news now. I await progress, overdue. I see more people being sent home than people gaining employment. I see more depressed and frustrated youths, I see overwhelming social problems and it makes me very sad but in the same breath, it’s beginning to feel like our way of life, like the norm and I’m afraid we will soon accept it. I’m so sorry for the citizens of my country St. Lucia. I hope we see some light ine day soon. I rebuke this darkness that’s about to consume our nation. I too agree that agriculture is the way to go. But the question is, are you willing to invest in agricultural products? Are you willing to work the lands? That’s why he said young people should learn a skill or trade instead of a degree. All we are to him is the low-skilled work for the tourism industry. And the IT jobs are just call center positions…..at spend some time and money on agriculture. The Government can increase jobs but actually giving jobs to St Lucians instead of foreigners. This is a good start – No? I am quite certain that this is a lie. KM2 hired 400 people, still waiting to see that happen. The company at Johnson Johnson Center does not have 400 employees, which makes me wonder how did they hire hire 400 people. How and where Mr Chastanet got that information? Someone please clarify.